Relaxed pictures of the family and baby alone around the home. (Cuddling on the bed, drinking coffee on the couch, In the nursery). Immediate Family Only. 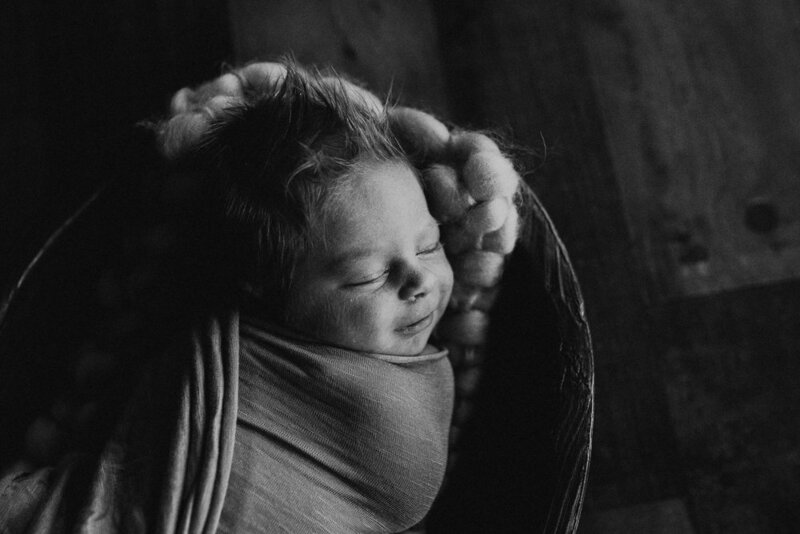 Simple photographs of newborn only. Photographer travels to the comfort of your own home and provides NEUTRAL props, wraps, headbands, and hats. Newborns must be 2 weeks or younger.